2014 was the deadliest year for Afghan civilians since 2002. According to the United Nations Assistance Mission in Afghanistan (UNAMA), civilian casualties rose by 19 percent in the first 11 months of 2014 compared to the same period in 2013, resulting in the deadliest year for Afghan civilians in the UN mission’s recording history. 3,180 civilians had been killed and an additional 6,430 had been injured by the end of November. The total casualty count is expected to tally over 10,000 in 2014 — a first for civilian casualties in a single year since UNAMA established operations in the country in 2002. UNAMA’s casualty count refers to men, women, and children killed in conflict-related violence in Afghanistan. These numbers add another sombre statistic to the situation in Afghanistan as U.S. and international forces formally draw down. 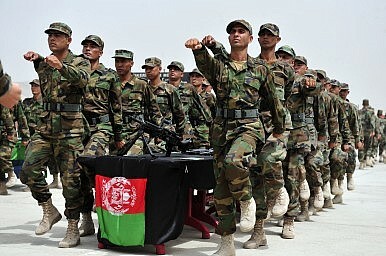 Although the United States will leave behind just over 10,000 troops in Afghanistan for limited counter-terrorism and training purposes under the terms of the U.S.-Afghanistan Bilateral Security Agreement, Afghanistan’s overall security is back in the hands of the Afghan National Army and security forces. The spike in civilian casualties last year was due to increased violence by the Taliban on the occasion of Afghanistan’s national election. Though the actual elections days were relatively unfettered by widespread violence, the Taliban announced a “Spring Offensive” in early 2014 and promised to ramp up their attacks ahead of the national election. Ground engagements between pro-government forces and insurgents, particularly in civilian-populated areas, caused the most civilian casualties (32 percent), a new trend in 2014. [Other causes of casualties included] suicide attacks (11 percent), targeted killings (10 percent) and complex attacks (five percent) by insurgent groups; unexploded ordnance from the current and previous conflicts (four percent); and airstrikes (two percent) and search operations (two percent) conducted by pro-government forces. As I wrote in The Diplomat last week, 2015 will be a make-or-break year for Afghanistan. One of the areas where the new national unity government will need to make real improvements is improving civilian security around the country. Recent reports suggest that the Taliban remains undeterred going into 2015. In fact, the group is making real progress into retaking non-densely inhabited areas in Afghanistan’s remote provinces that were previously secured by U.S. forces in the late-2000s. Should the Taliban continue to make territorial progress and inflict civilian casualties at a regular rate, the national unity government could find its legitimacy challenged in the country’s remote regions. Afghan Civilian Casualties, the Elephant in the RoomIn Afghanistan, Talking and Killing Continue in TandemWhy the Taliban Are in Control of the Afghan Peace ProcessWhy Is Zalmay Khalilzad Such a Controversial Figure in Afghanistan?US-Taliban Talks: To What End?